Felt like a kid opening up a Christmas present tonight. 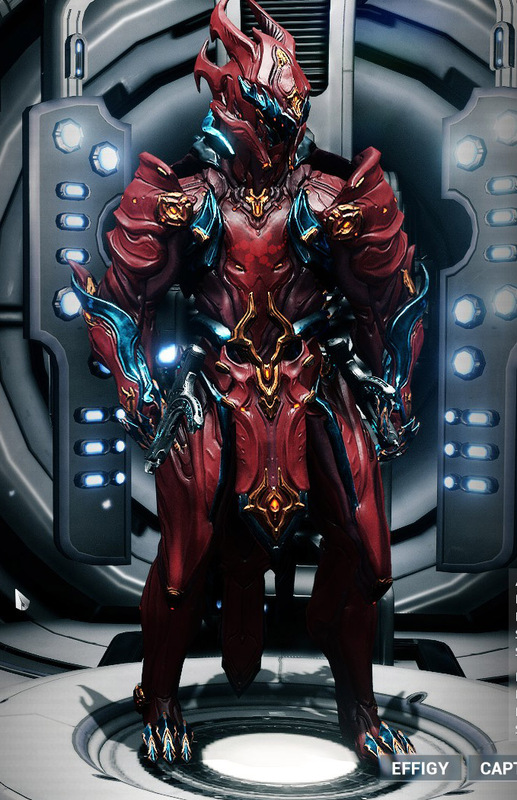 Chroma Prime looks so freaking cool. It also hit me that I will have a problem experimenting with his different energy colors because I am liable to spend an hour in the Appearance editor tweaking optimum color combinations to match the current element I’m fooling around with. I mean, how do I pass up the opportunity to color coordinate a red dragon, a black (D&D black dragons spit acid) or green toxic dragon, a light blue or white ice dragon or a deep blue or purple electric dragon reminiscent of GW2’s Kralkatorrik? Well, I did try for all of 8 minutes to aspire to “meta” greatness by watching a Chroma build guide video, only to sort through my current stash of mods to determine about three quarters of the necessary mod cards were not yet in my possession. Anyhow, the frame still needed to rank up to 30 from 0 before even having the mod space to approach the distant neighborhood of optimal. So I went for fun and killing a few birds (or infested alien monsters) with the same flamethrower. That is, I had an Ignis to also rank up. 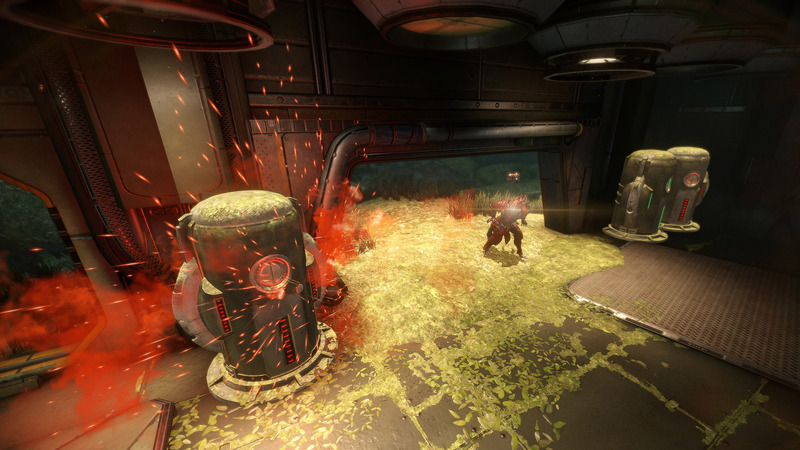 The Ignis is a flamethrower with innate Heat damage. It didn’t have the mod space to get fancy with secondary damage types yet, since it was starting from near zero (well, 10 mastery) so I popped on a weak Serration and called it done. Then I went for a fire Chroma to play around with EVEN MOAR FIRE while testing out all the various abilities and ranking up at the same time. I’m sure some people have mathed it all out (and I will get around to looking at the results of that math and aping it the moment I want to try soloing an Eidolon or considering higher level missions) but at level 25-35 missions, the amount of sheer AoE chaos from spewing fire all over the place is… probably extremely non-optimal but exceedingly gratifying. I probably need to put Ember on the wish list at some point, I have a terrible weakness for all things fire. 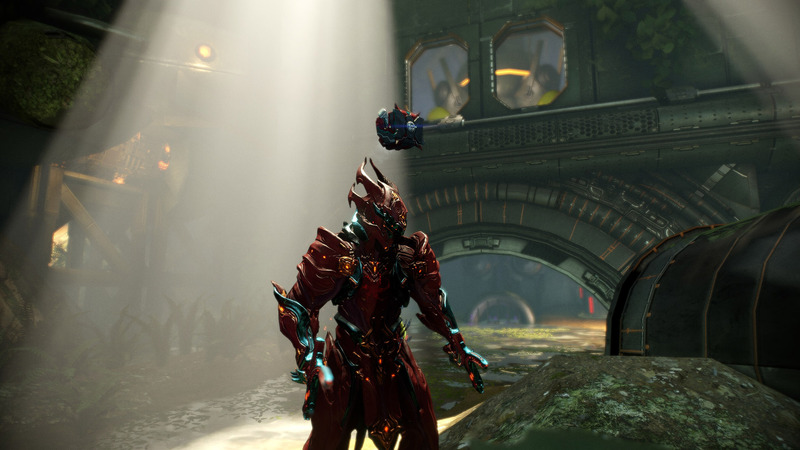 Apparently, Chroma got nerfed or reworked at some point (says Google while I was searching around) and some people feel the current version is a little too weak in comparison to other frames. Since I was never around for the “before” version, I have no standard of comparison anyway. For now, I’m content to just mess about and have fun discovering new and different playstyles while looking goddamn good.